This Bride Started Singing Down The Aisle. But When Her Dad Did THIS, I Couldn't Stop The Tears! Groom Ronny nervously waited at the alter for his beautiful bride Maria. But when the church doors opened he got a huge surprise. Maria started singing as her father walked her down the aisle. 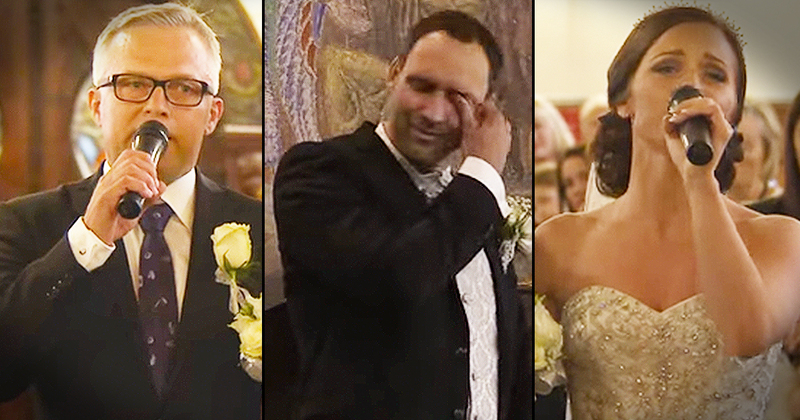 This beautiful wedding version of 'You Raise Me Up' had the groom in tears. And when the father of the bride took the microphone I started sobbing!